Why not stay longer In Baños ? - There are so many things to do! 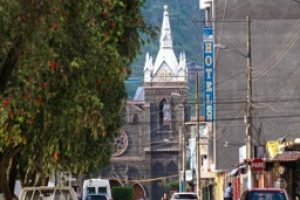 While strolling through the city center of Baños, you can observe the traditional candy makers folding Melcocha (made of sugar cane) or visit the beautiful church. 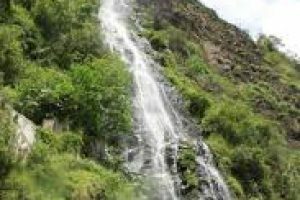 Swim in hot springs (Piscinas de la Virgen), have a massage and take leisurely strolls in the beautiful natural surroundings! 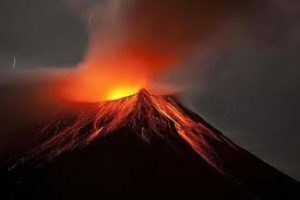 Tungurahua means "Throat of Fire" in Quechua. It is an active statovolcano and restarted on August 1999 with the last major eruption in March 2016. Enjoy the outdoor activities of the region. Get your adrenaline rush by white water rafting, ziplining (Puntzan), bridge jumping, paragliding or canyoning. You can go hiking. 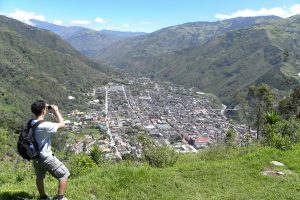 There are three hikes around Baños you shouldn't miss! 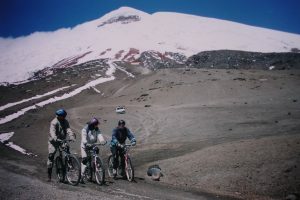 Or contact this agency Andean Summit Adventure. Baños is centrally located in Ecuador and you can reach easily any other city in the country. The city Riobamba (1h30 hours). In this city you can see the volcano Chimborazo and take a train ride along the mountain range the devil's nose. Baños has lots of delicious places to eat, we have lots of recommendations so just ask! You should also absolutely try these local specialities. the famous Ecuadorian drink called Canelazo, a tasty combination of sugar cane alcohol, panela and cinnamon. 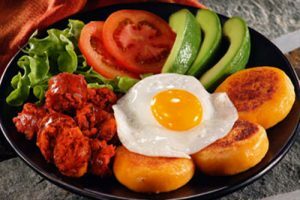 Llapingachos is a dish made of mashed and fried potatoes. Hornado, delicious pork roasted traditionally and served with potatoes, corn and salad.